Today it starts! 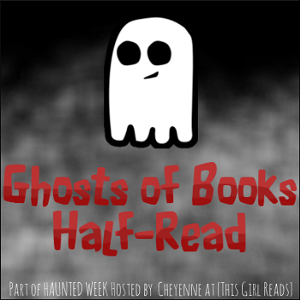 And even though I have already posted an insanely long review of The Diviners by Libba Bray (shameless plug, I know), it would be incredibly bad form to miss the the initial day of Haunted Week 2012! Ever had the feeling that someone was watching you? It just might the spirit of a book you haven’t put to rest. Today feature five books you began but never finished. Most of us, I am sure, when searching for a new read will pick up a book and read the inside flap, or find something on Goodreads and look at the reviews. You may also look at other book blogs to see what they’re all fanpersoning over. Or maybe you get emails from Publishers Weekly or read the book section of the New York Times or talk to friends. However you get your info about books, I am guessing that you put in a certain amount of research into what you’re reading. You don’t start a book with the expectation that you aren’t going to enjoy it. 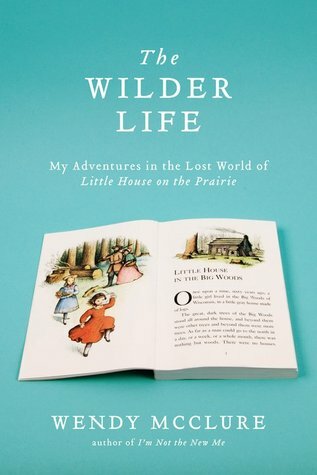 The Wilder Life: My Adventures in the Lost World of Little House on the Prairie by Wendy McClure. I had not heard of this book when my husband gave it to me for Christmas. It was a well thought-out gift, as I devoured the Little House books in my youth. I actually have enjoyed this book, but I think because I started reading it at the time when I started my blog, it was put down so I could read other things. I tried picking it up again, but then was promptly swallowed up by more books. I WILL read this. 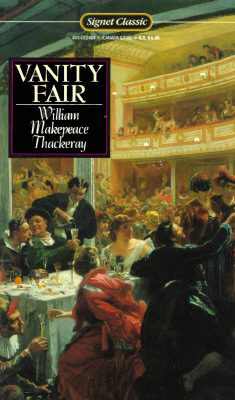 Vanity Fair by William Makepeace Thackery. I have read and enjoyed many literary classics. Pride and Prejudice is my favorite book. I love Dickens and Wilkie Collins. It has been a while since I attempted to read this, but there were two problems: one, I couldn’t keep all of the characters straights, so I would have to flip back in the story and try to figure out who somebody was; and two, I put the book down for too long at some point, so I lost the thread entirely. I did not have the energy to try and find it, so I gave up. 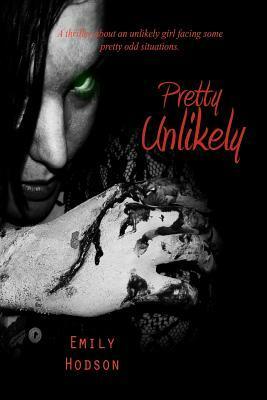 Pretty Unlikely by Emily Hodson. I’ll just let you read my review here. Especially if you can get past the cover. This might not be completely fair, because I haven’t started it at all, but I have had Rapture by Lauren Kate sitting here, waiting to be read, since it was published. This was not my favorite angel series, and I have piles of stuff to read, and those 14 books from the library…unfortunately, if I own it, it gets pushed to the back for later. 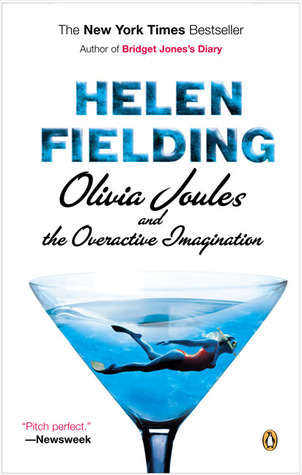 Olivia Joules and the Overactive Imagination by Helen Fielding. As lovely and silly and cringe-y as were Bridget Jones I & II, this was a yawn-fest. I will forget about it, then spy this on my shelf and think, “Oh! I should read that!” and then I quickly re-shelve it. I think I keep it out of love for Ms. Fielding. Check back tomorrow where the post will be: Bats in Your Book Pages. 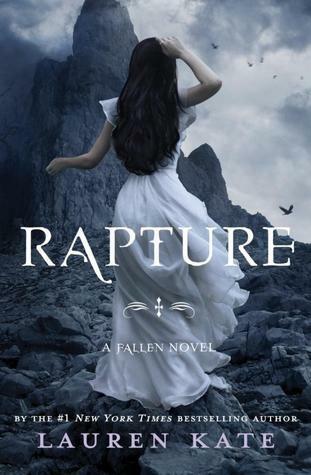 Oh, I don’t have Rapture, but I haven’t read it, even though I’ve read the other books in the series. I wasn’t particularly a fan of it either, though, so I’m not really in a rush to read it. Great list! Yeah, it’s likely that once I do read it I won’t remember what happened in the first 3 books. I’ve also had Fifty Shades of Grey on my Nook for about 8 months, too. Are you going to put an Inlinkz thingie on your posts so we can see what everyone else is up to? You can also ask people to use a hashtag – #HW12 or something like that, so we can find each other. This was a fun challenge! Can’t wait til tomorrow.